Want to sell your home, but challenged by the buyer's market? Any kind of economic uncertainty can cause the housing market to slow down – whether Brexit shenanigans or a rumoured interest rate rises – even in London and the South East. This doesn't mean that properties aren't selling, but it does mean that if you want to sell your home now, and sell it reasonably quickly, there are several things to be aware of. Follow these tips to find your perfect buyer – and keep them. Looking for more information on selling? 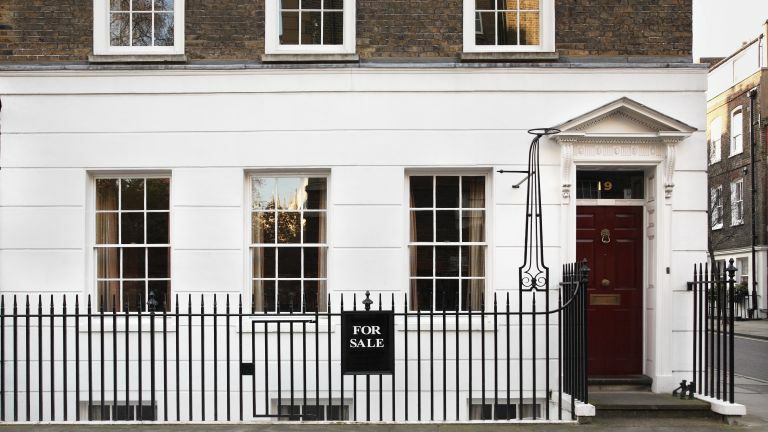 Find out all you need to know in our guide to selling a house – or flat. In a stagnant market, people will be extra picky about the quality of communication they receive during the negotiations. So, vet your estate agent thoroughly, ensuring that they are diligent and engaging – and, importantly, flexible. Your buyer will want to feel that they are properly looked after and any queries they may have are resolved quickly. Under no circumstances assume that because someone found your property online, they aren't bothered about the quality of human interaction they will receive during viewings/negotiations. As for your relationship with your agent, keep it communicative. Speak to them regularly, ask for feedback (and act on it if possible), answer queries quickly, and be open to viewings at short notice. In a buyer's market, overpricing your property will come with punishing consequences. Not only will it put off buyers initially, subsequent price changes that are recorded on property websites have been proved to put people off even further. Changed your house price more than once in the same year? You are signalling to buyers that either you are a difficult seller, or there is something wrong with the property, or both. Instead, be realistic about what you could get, and stick to that one asking price. And avoid the old-fashioned marketing tactics of listing your property price as ending in ',999'. Whole numbers are perceived as indicating transparency and honesty, so if you are selling for £500,000, that's what the listed price should be. Selling an inner city property with a garden? Make sure that this is clearly indicated in the photos and highlighted as a unique selling point. Is the bedroom larger than average for the type of property you're selling? Again, make this obvious in the property details. On the other hand, be honest about any potential drawbacks to the property (obviously listing them after the positives). For example, if the bathroom is small, it is still better to include a photo, rather than leaving your buyer guessing about what it looks like. Most people are reasonable and will be prepared to compromise on some things, but anything deliberately omitted from the description will raise doubts about the property – and first impressions on viewing will be disappointing. And don't forget about presentation, which can really make it or break it when it comes to selling. Find out how to present your home for sale. Who will your home suit best? If you live on a quiet suburban road near a good school and have an extra bedroom, consider pitching your home to young families with children. A tiny studio flat, which nevertheless happens to be smack bang in the town centre? A single person in full-time employment is a good bet. At the same time, in a tougher property market, you may need to think a bit harder about who your potential buyer might be. For example, if they have no children, but work from home, then your extra bedroom may well be a very attractive feature, since it could become a home office or study. How to pitch your home to buyers? Dressing the rooms appropriately is important. Of course, neutral decorating schemes and a distinct lack of very personal possessions, such walls lined with family photos, will help potential buyers to imagine themselves living there. So will furnishing rooms to make their purpose obvious – and useful – is a must. Box room full of, well, boxes? Storing them somewhere else and turning the box room into a home office/child's bedroom or guest room is a much wiser ploy. Finally, the sales pitch itself. Make sure your agent knows all your home's good points or, if you conduct the viewings, ensure you mention them. Good school up the road? Tick. Fantastic restaurant around the corner? Tick. Brilliant transport links? Tick. Did you know that around one in three house sales fall through after the price negotiation stage? Buyers often walk away from a property having spotted a potential problem that isn't covered in the deeds/legal pack. It can be a relatively small detail – who really owns the bit of the garden with the tree that's half on their side, half on yours? – but, if it matters enough to your buyer, it may well turn them off going through with the purchase. The solution? Sitting down with your solicitor and getting them to think like a pernickety buyer; that way they'll be able to cover all the tricky details, and you'll be able to reassure your buyer before you enter the price negotiation stage. Which home improvements add the most value to your property?